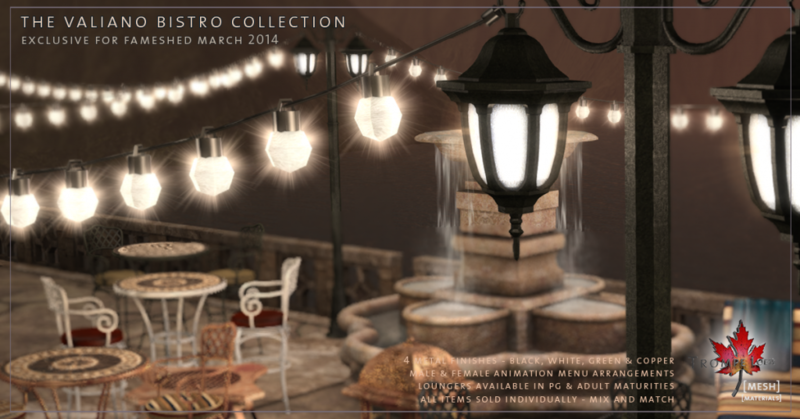 Welcome to (technically) Spring! 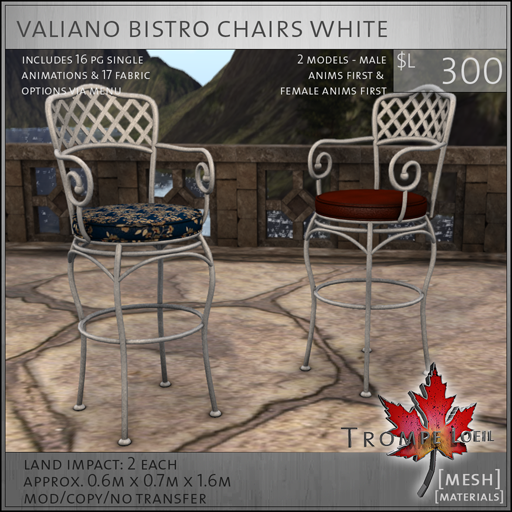 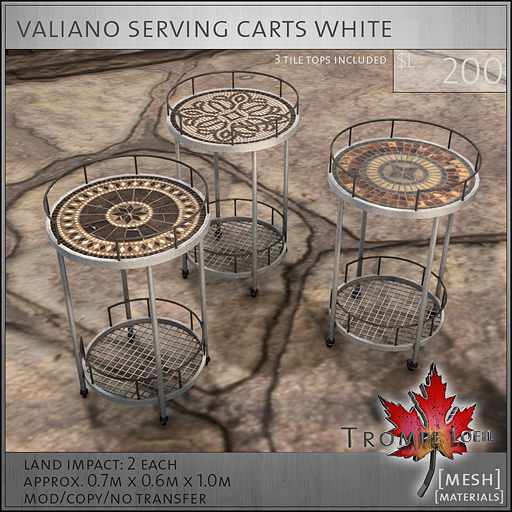 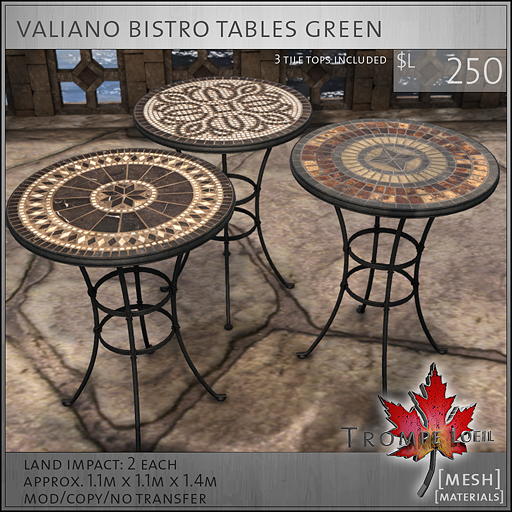 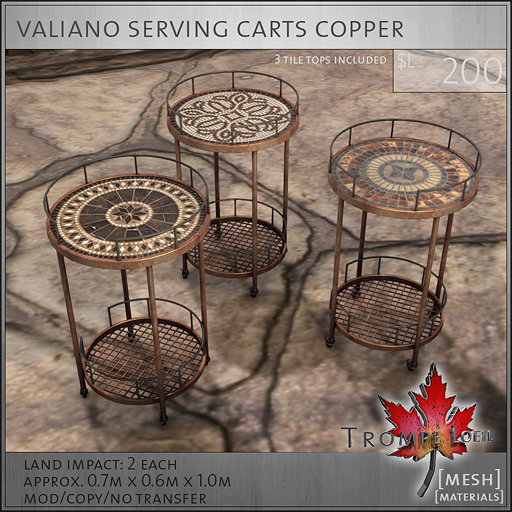 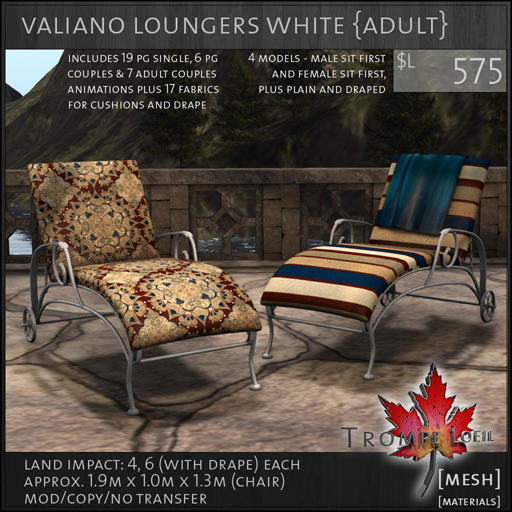 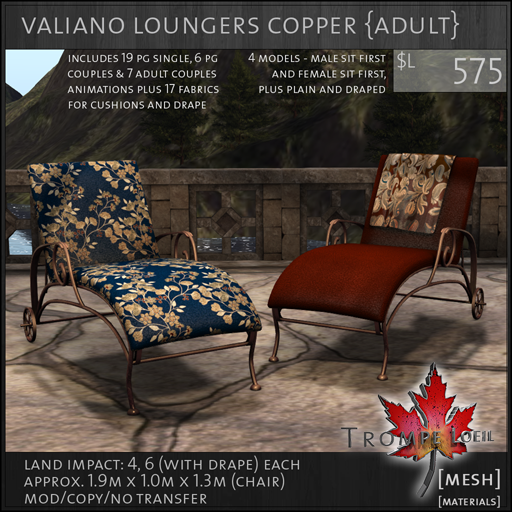 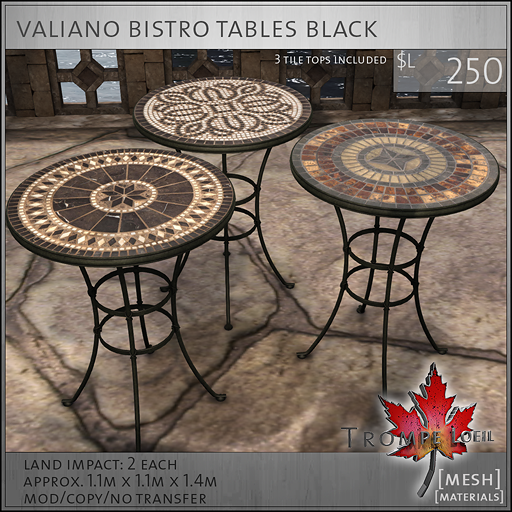 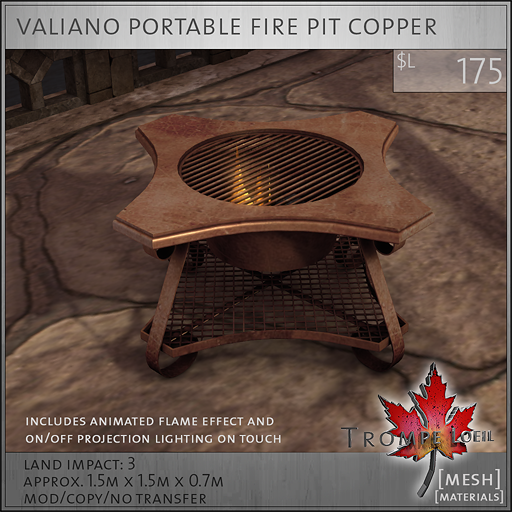 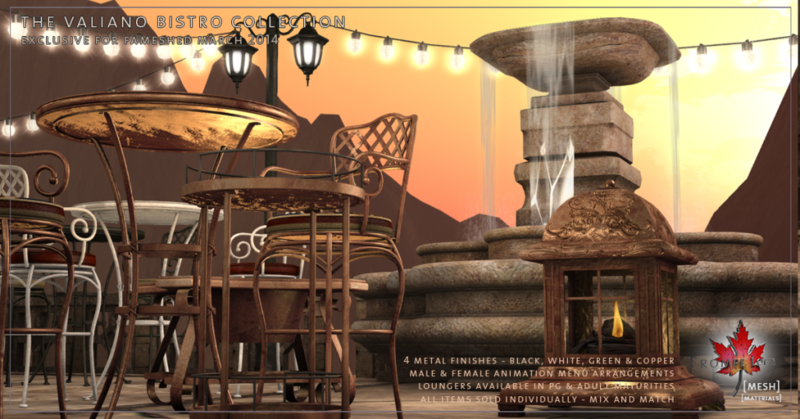 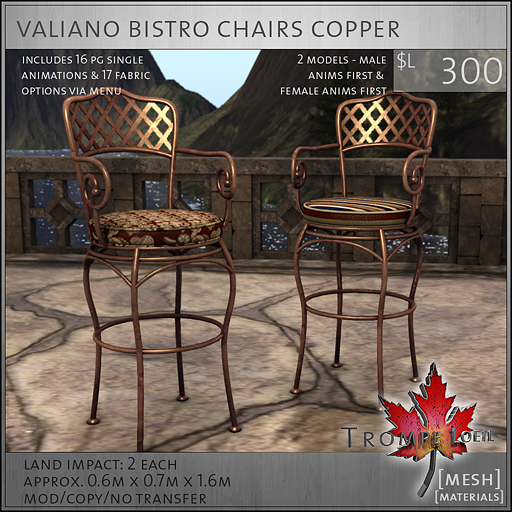 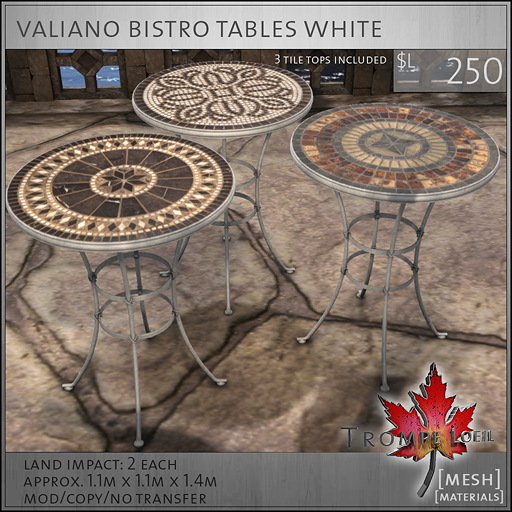 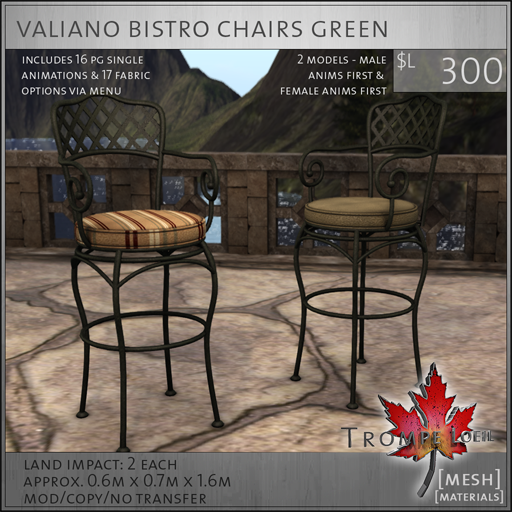 Trompe Loeil’s new Valiano Bistro Collection at FaMESHed will get you ready for the warmer months on the patio with new chairs, loungers, tables, lighting and more with an authentic al fresco flair! 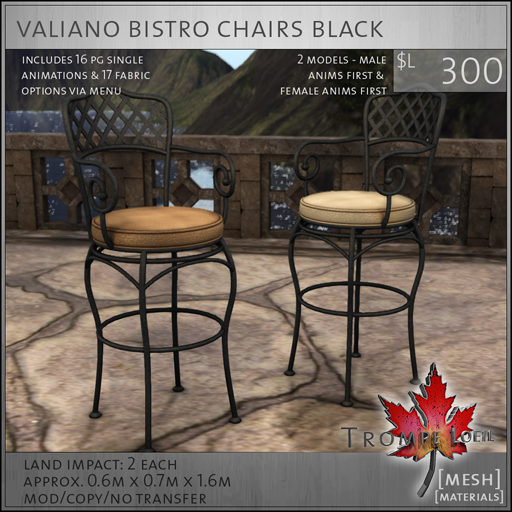 Select our carefully crafted Bistro Chairs, Tables, Serving Carts and Loungers from your choice of four metal colors – black, white, green, and copper. 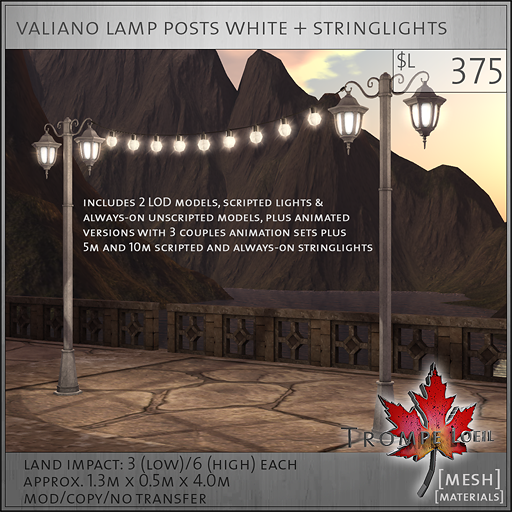 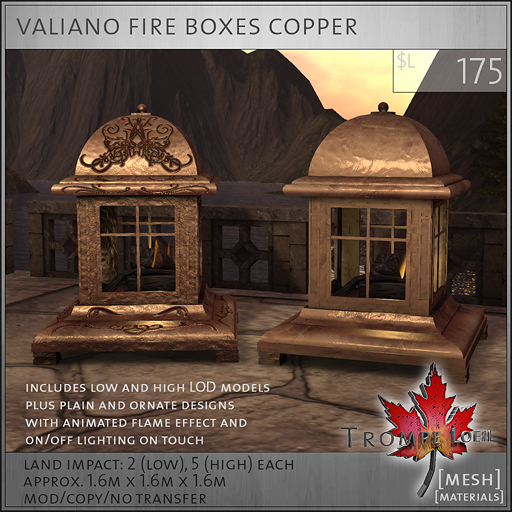 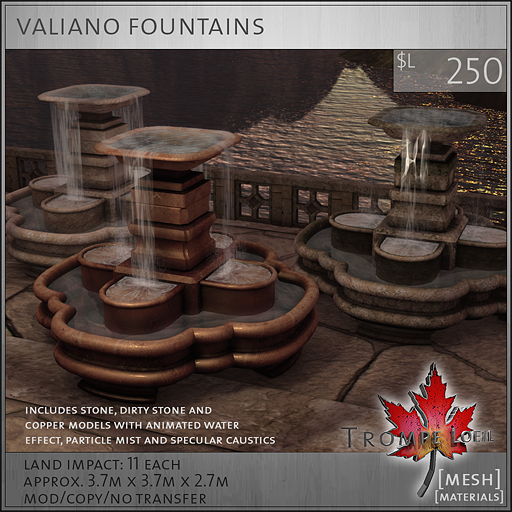 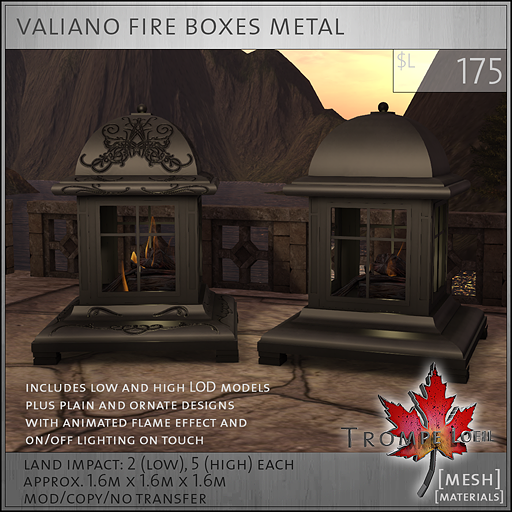 Add in fountains, firepits, lamp posts with string lights and animations, and fireboxes for a gorgeous and functional set that evokes warm afternoons and sultry evenings surrounded by the mountains of Tuscany. 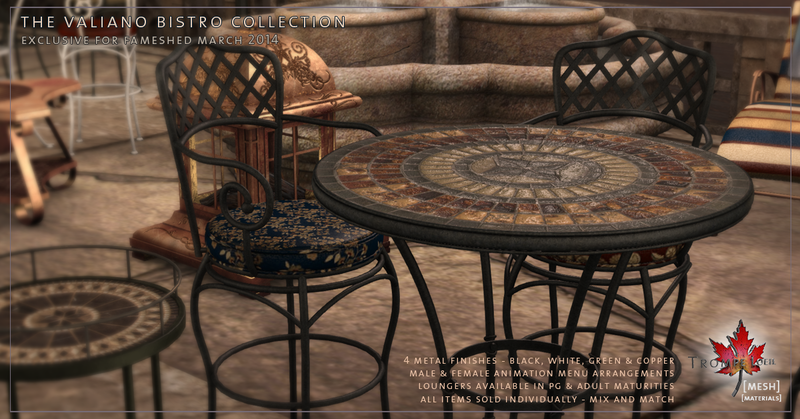 All items are sold separately – mix and match just the pieces you want. 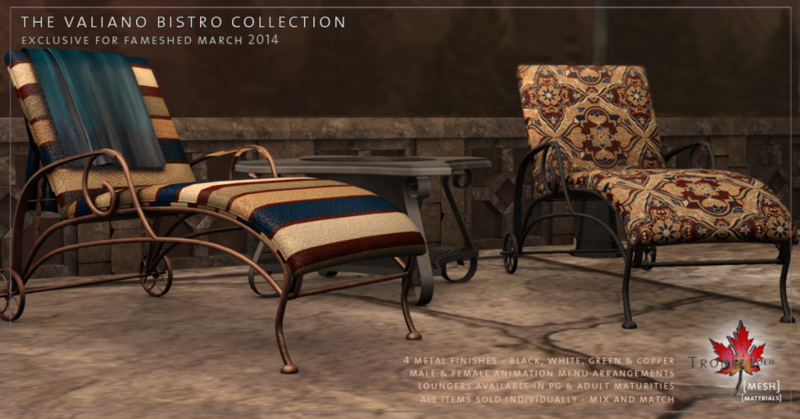 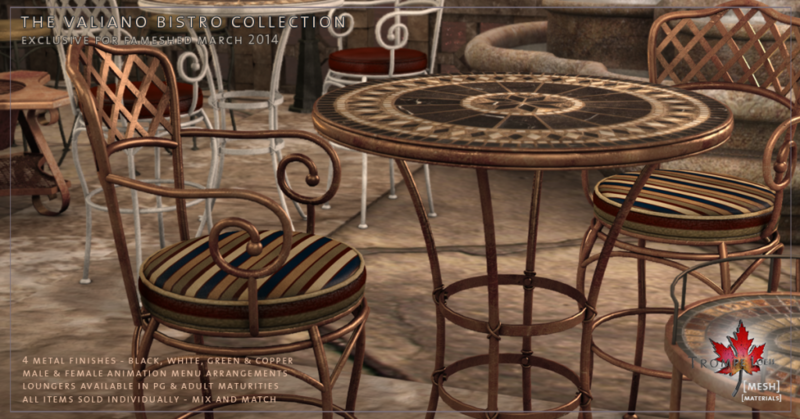 Only available at FaMESHed’s March round!